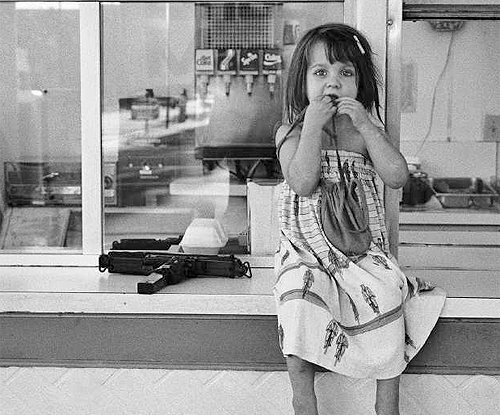 Nash's favorite image in the San Diego show is not of a celebrity but of a girl, about 5 years old, sitting on the counter of a hamburger stand in North Hollywood, "all sweet and innocent, and right next to her is an Uzi. Don't ask me what a machine gun was doing next to this girl." In a bid to step beyond the shadow of Graham Nash, the singer-songwriter, Graham Nash, the photography collector, and Graham Nash, the photo-technology innovator, an emerging photographer has unveiled his first major museum show at San Diego's Museum of Photographic Arts. His name is Graham Nash. Or as the artist/musician/collector/entrepreneur puts it, "It's just me, trying to shoot off my mouth." What: "Eye to Eye," Graham Nash's first major museum photo exhibit. When: 10 a.m. to 5 p.m. daily except for Thursdays, when hours are 10 a.m. to 9 p.m.
Price: $6; $4, students, seniors and military; free, children younger than 12. Free, second Tuesday of the month.